If your company is in the process of designing a chemical dosing system for sewage processing and water treatment applications, then you might want to find out more about the Grundfos brand. 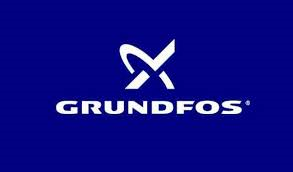 According to the company's website, Grundfos has an annual production of 16 million pumps. That statistic makes them the world's largest manufacturer of pumps—not just for chemical dosing, but for other applications as well. Indeed, the Grundfos range includes everything from circulator pumps for air cooling and heating purposes to centrifugal pumps for moving fluids. At Techwest Williams Chemical Injection, we are a leading supplier in Australia for Grundfos pumps. Though Grundfos manufactures a vast range of pumps every year—as evidenced by their massive production numbers—we focus primarily on one segment of the Grundfos range: chemical injection and dosing pumps. One of the factors that set Grundfos apart from other pump manufacturers is their drive to provide clients with full solutions. Whether you need a pump for water disinfection, for precipitating debris out of wastewater or for the pH adjustment of the water, Grundfos offers chemical dosing pumps 'available as a total package.' Ideally, you will be able to plug one of these pumps into your system and start using it immediately—without complicated setup steps and the need for other components or mechanisms. Still, while Grundfos pumps are designed to be reliable and user friendly, the wide range of the company's chemical dosing pumps can make it a challenge to find the one that is just right for your purposes. That's where Techwest comes into the equation. We can help you analyse your need, consider your various options and choose the Grundfos pump system that is best for you. For instance, some of the Grundfos pumps we stock in Australia are the brand's SMART digital diaphragm pumps, while others are motor-driven diaphragm dosing pumps. Other pumps use oscillating positive displacement systems. We can help you understand the differences between these different pump models, as well as the pros and cons of each. With the aid of the team at Techwest, you can pick the pump that will best suit your needs. With powerful hydraulic systems and the reliability that you would expect from one of the most notable pumping brands in the world, a Grundfos chemical injection pump should deliver years of quality performance. However, if you should need to replace or repair the system in the future, Techwest also stocks spare pumps and components. In short, we are your source for anything related to Grundfos pumps in Australia. Are you interested in trusting the well-known Grundfos brand with your chemical dosing needs? If so, call Techwest Williams Chemical Injection today and let our team tell you more about the Grundfos brand and their many pump models. We look forward to helping you select the right Grundfos pump in Australia. Call us today on 08 9267 5560.